Henley Joinery Ltd is a well-established joinery business with 40 years experience and has a reputation for excellence for creating bespoke joinery for their customers in Henley on Thames and throughout the Thames Valley. Peppard Creative was delighted to create Henley Joinery’s website. The website was designed using Bootstrap elements to help create a clean stylish look. After we had finished designing the new website we were also requested by our client to host the website. 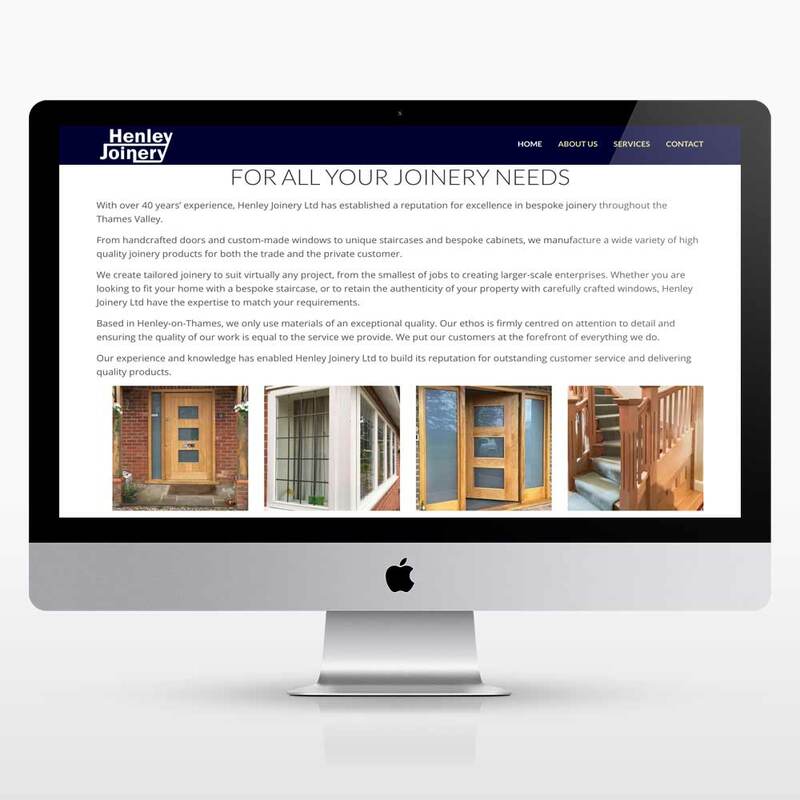 As well as been responsible for the design and hosting of the new website we were also tasked with creating a new Facebook Page for Henley Joinery which we were pleased assist. If you have a business you should consider creating a Facebook page for your business, it’s free and its another great way to interact with customers and potential new customers.